In the unfortunate event that you do suffer a fall or other type of injury at a holiday celebration, contact our Oxnard slip and fall attorney Jeffery Herman at the Law Offices of J. Jeffrey Herman so that he may review your case and the liability involved. If you have sustained injuries caused by someone else who has gotten caught up in the holiday spirit, you deserve to be fully compensated for your injuries and damages. Posted in Slip And Fall Accident on Saturday, Nov 17, 2018. It is holiday season in Oxnard, which means that calendars are quickly filling with social events. Popular festivities like our annual Christmas parade, Christmas Tree Lighting, and Holley Trolley Tours bring Oxnard residents and visitors out in large numbers. Private celebrations including Thanksgiving dinners, holiday work parties, and Christmas and Hanukah celebrations will fill the weekends from here through the New Year for many as well. And just like every year, Oxnard slip and fall attorney, J. Jeffrey Herman, knows he is about to see a major influx of personal injury cases as a result of holiday injuries. When people are focused on socializing and celebrating, they are often distracted and they may not exercise as much care and caution as they otherwise would. Most of these holiday injuries are preventable, especially if people are aware of the potential dangers and they take precautions to avoid potential injuries to themselves and their guests. Our phones are regularly ringing at the end of the year with people calling about personal injuries sustained at holiday parties and celebrations. We have seen many types of injuries and some of the most common ones are listed below. Food poisoning – Food is big part of holiday parties and festivals, but party hosts and guests who bring dishes to parties are not generally food safety experts. As a result, sometimes contaminated food makes its way into holiday festivities. Food poisoning is sometimes minor, but we have seen cases where clients have sustained serious injuries due to food borne illnesses. 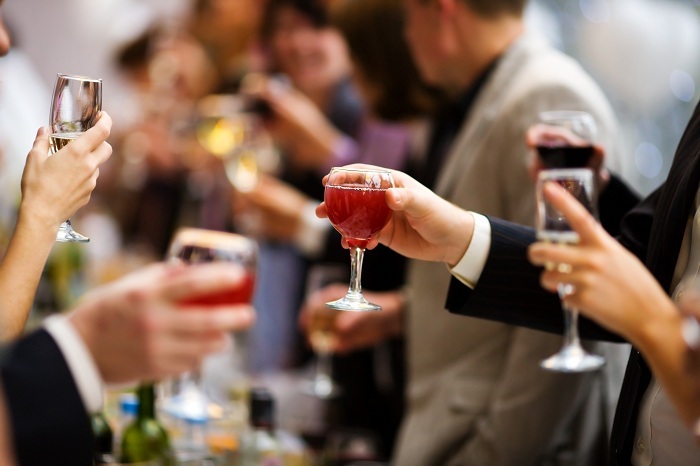 Alcohol related injuries – As you can probably imagine, alcohol related injuries increase during the holiday season. Drinking and socializing often go hand in hand and when people have too much to drink, their judgment and physical functions become impaired frequently resulting in accidents. Trip, slips, and falls – Tripping over holiday decorations and cords, and slipping on puddles of spilled drinks and rainwater from wet shoes are just a couple of holiday slip, trip, and fall scenarios. Fires and burns – Fire injuries are commonly caused by cooking, candles, fireplaces, and overloaded outlets during the holiday season. Dog bites – Pets often feel uneasy around large crowds and this may cause them to feel afraid and defensive resulting in dog bites to guests who get too close to them. Christmas tree and other holiday décor injuries – These are temporary items that are not always properly affixed or safely maintained. A little bump or nudge can cause these items to fall over and injure people near them. Whether you are a host or a guest at a holiday celebration, keep these common holiday injuries in mind so that you can keep yourself and your guests from sustaining injuries. In the unfortunate event that you do suffer a fall or other type of injury at a holiday celebration, contact our Oxnard slip and fall team at the Law Offices of J. Jeffrey Herman so that we may review your case and the liability involved. If you have sustained injuries caused by someone else who has gotten caught up in the holiday spirit, you deserve to be fully compensated for your injuries and damages.